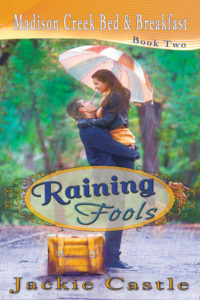 From the moment I heard the title “Raining Fools”, I was intrigued, but that didn’t stop with the title. Friendship and love are the reigning theme throughout this book written by Jackie Castle. The romance between Bekka and Stephen is sparked by a difficult past that they both must overcome. Stephen’s friendship with Ethan is far from perfect, but through it all, Ethan sticks close to Stephen, no matter what. This novel brings to my mind the passage of Matthew 18:21-22 (KJV), “Then came Peter to him, and said, Lord, how oft shall my brother sin against me, and I forgive him? Til seven times? Jesus saith unto him, I say not unto thee, Until seven times: but, Until seventy times seven.” The central theme of this passage was not that we should keep tally and stop forgiving after 539 offenses; but rather to forgive all offenses. After all, if one is keeping tally, then it’s not true forgiveness. You see this truth lived out in these characters’ lives, in a very real way. There are times they struggle to forgive and want to abandon ship, but the love they are called to show through Christ, keeps them pressing on. I enjoyed reading “Raining Fools” and was sad when the end came. I would definitely read another book by Jackie Castle. While this book was a sequel to Snow Belle, I was able to read it as a stand alone without any confusion. In fact, I am excited to read Snow Belle in the near future! As a mother of two young ones, it’s often difficult to read a book from the beginning to the end in one read. However, I was able to pick up this book and read a few chapters, put it down when I needed to take care of my kids, and pick it back up later without once getting lost. In simple words: it was an easy read. While I could put it down, I didn’t want to. The characters were very real. In many ways, I viewed them as my friends. I cheered them on, wanting them to make the right decisions. Each action they chose seemed to reflect who they were and what they believed. I disliked the prequel. While it was well written and I enjoyed reading it, it confused me at first because it didn’t seem to flow well with the rest of the book. It took place in Haley’s viewpoint, but it would have made more sense if it had been written from Bekka’s viewpoint. I could also see the prelude having been better as a first chapter as there are parts of it that are essential to the book. However, that is such a minor point that I would still highly recommend this book if you are looking for a light read, filled with Biblical truth and a thirst for second chances. I was given a complimentary copy of “Raining Fools” to review by the author and Celebrate Lit. All views are my own. I would give this book four stars. Awesome! Thank you for reading! I hope you get a chance to check out this great book. 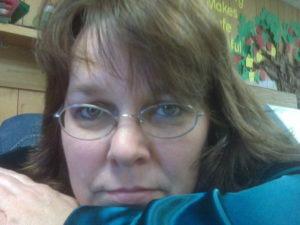 Loved your blog, I hope to read more of them. Thank you for reading! I have several more scheduled… and I can’t wait to share. Looks like a great book! Thanks for the info. Thank you so much for taking the time to read my book and for your thoughtful review. Appreciate you. I really did enjoy this book and I can’t wait to read more of your books.